Communicating Science: This Is a Job For Superman! Paper or plastic? Meat or vegetarian? Organic vs. non-organic? Farmed fish or wild caught? Caged or free-range eggs? Genetically modified or non-GM food? Bottled water or tap? Soy is good for you! Soy is bad for you! Each day we are nearly overwhelmed with decisions that require considerable analysis, especially as it relates to our personal wellbeing or that of our precious families. However, much of our analysis, and our eventual choice, stems from basic economics – can I afford this or that? – even though this might be bad for me or that would be better for the environment. We also use science (somewhat unconsciously) in most of our decision making. Many of our decisions based upon the results that have been brought forth by lots of scientific experiments, testing, and analysis. Why is this? Probably it’s because we know that science works – and we can, for the greatest part, trust the results of scientific inquiry. It hasn’t always been this way. These awful examples of murderous diseases were some of the first to be studied by the “new” science known as epidemiology – the study of disease in humans. A little science has gone a long way in preventing pandemics from happening at this scale again. None of these diseases are completely gone - but we know how to avoid them and how to treat them when they break out. Today epidemiological studies track the causes and incidences of everything from diabetes to HIV to obesity and autism. Such studies are the cornerstone of public health which relies on evidence-based science and has its roots deeply entrenched in the understanding of organic evolution. In spite of how often we use science (actually we use its experimental results and recommendations) we still regularly hear, “I don’t believe in evolution” or “I don’t believe in global warming.” This puzzling aspect of human behavior means that many of us are selectively choosing to believe in only the science that fits comfortably into our background belief system or doesn’t challenge our personal interests. We find millions of Americans who will avoid smoking, take the medications that their doctors prescribe, listen to the weather predictions to avoid getting caught in a blizzard and then refuse to admit that they have any relationship to primates (even though we have overwhelming scientific proof that the great apes are phenomenally close in anatomy, physiology, and even behavior). The following three articles have been chosen to review and exemplify the sometimes overwhelming tasks of having to make good (wise, healthy, and sustainable) decisions in our lives. Why should we? Good science helps us live longer and better (should we choose to accept it)! Professor Keely Carroll’s article reviews where most Americans get their information and how we judge science and “environmentalists” and how many of us are still reluctant to accept evidence-based science when it goes against our preferred interests. Another article from an Ohio State University study by Garrett and Nisbet discusses how less than half of us will reverse our opinions even when presented with overwhelming evidence that proves our thinking completely wrong. Finally, Dr. Randy Olson’s article suggests that how we communicate science is as (or more) important as what we are trying to communicate; that we should tell better, more interesting stories that beg the reader’s longer and more earnest attention – murder mysteries, who-done-it stories, drama and intrigue! Once upon a time there was this planet in the Sun’s solar system that began 4.6 billion years before. For nearly one billion years powerful forces dominated the tumultuous orb until the tiniest specks of life appeared. For the next 3.6 billion years the most amazing and phenomenal dance of trial-and-error life met with oscillations of boom and bust while millions of species came and went – flourished and extinguished – variation after variation. Somewhere in the last few paragraphs of this very long and marvelous story a newer variation emerged – quick to develop tools and swift to apply them to a technology that hadn’t been seen previously on the planet. In less than 0.0000001 (1 ten-millionth) of the total time that the planet existed, this single species became the most dominant and powerful of all. A combination of rapidly developing technology and overwhelming numbers in population, this single species quickly began massive ecosystem conversions. They leveled complex forests and laid pristine watersheds to waste. They developed toxic compounds that they used to selectively kill other species – only to find out that the poisons would not go away. They developed materials that they thought would better their lives but found the same materials floating in giant garbage gyres atop their precious oceans. They overfished their vibrant seas – and found their toxins washing up on the shorelines. They exhausted their fertile soils to the point that their food was nearly without nourishment. Their numbers kept rising – they refused to discuss their growth rates, even while they watched their skyrocketing numbers charted out in an exponential curve. They refused to discuss their levels of consumption – all completely founded on their planet’s natural resources. They refused to accept their contributions to the untimely warming of their planet – a warming that would bring great catastrophes to their children and their grandchildren. They watched as hundreds of their planet’s species became extinct on a daily basis – the same species that provided them clean air, fresh water, detoxified soils, shelter, clothing, food, drink, dyes, pain-relief and cures for diseases – and beauty! They were destroying all the beauty of their planet! Anyone want to finish this story? Anyone? Anyone? 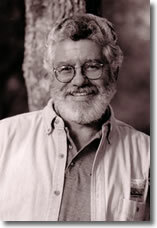 Joe Medeiros is Professor Emeritus of Biology at Sierra College. He coordinated the college’s Interdisciplinary Program and taught the program’s flagship course: The Environment and the Human Impact. Comments or questions, e-mail Executive Editor, Keely Carroll.